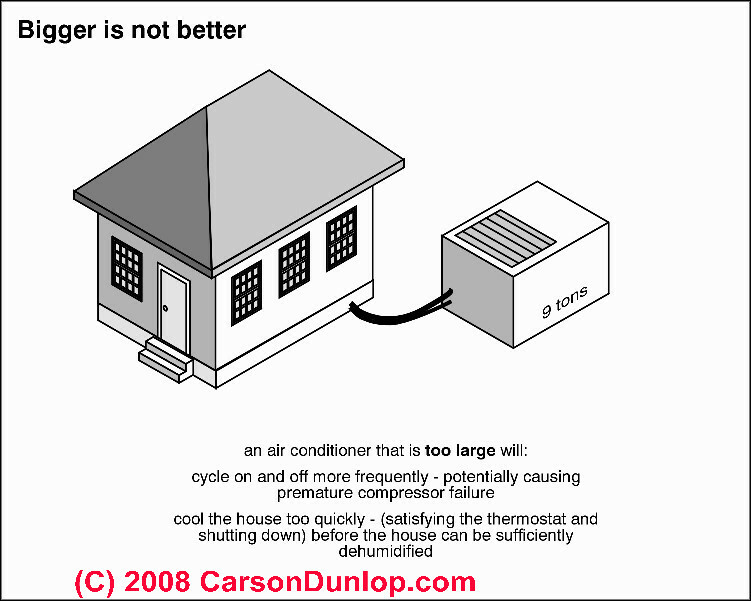 Many central heating & cooling systems are the wrong size. Either the equipment is to big or the ductwork is too small. Often, it’s both. Add leaky ductwork and improper refrigerant levels. It’s no wonder why they don’t perform as advertised. The good news is that after air sealing and insulation is complete, smaller heating and cooling equipment can be used. The approved way for figuring out what size it should be is by energy modeling, by hand or with a computer. Many models use ACCA Manual J, Residential Load Calculation as their base. Incorrectly sized ductwork can easily ruin the performance of the equipment. Figuring out whether the ductwork attached to the equipment is correct is impossible to do by looking at it. It must be modeled. However, we can easily tell if it’s way off, which it often is. Using a Ductulator, simple assumptions, materials used, and the duct sizes attached to the boxes attached to the supply and return sides of the air handler, we can quickly determine if the existing system is reasonable. It should go without saying, but it happens far too often to ignore it. Duct runs should be as short and straight as possible. Flexible duct needs to be fully stretched out. The ductwork needs to be as air tight as possible, and insulated properly. For best performance, the ductwork should only run through conditioned areas of the building. However, for existing buildings, this not always practical. It used to be the case for HVAC contractors to put supply air registers close to exterior walls, especially over windows, to avoid condensation on single-pane windows. This is not good for heating & cooling system performance. Unfortunately, when we started using dual pane or better windows, the practice wasn’t changed! Supply registers can and should be closer to the core interior of the building, when appropriate. This helps limit the amount of ductwork installed. Often overlooked, but critical to room air delivery and ultimately system performance, is the registers. They need to be engineered for the air flow characteristics for the room. If this is true, why is it ignored? First, very few HVAC contractors properly design ductwork or size equipment. However, if you do these things, plan to spend some money on register covers—more than 4-5X what you’d pay for one at a warehouse building supply store. However, you’d get the comfort you expect. After making improvements to air leakage, insulation, and windows, model the energy performance of the house to figure out the heating and cooling characteristics of the house. This establishes equipment size. Before buying equipment though, model the ductwork and air flow characteristics of the house. Then pick your equipment. Most of us, for a variety of reasons, won’t improve the entire heating and cooling system all at once unless it’s awful. Most of us are on the 10 year plan and will replace things as they wear out. You’ll need to work with your home performance consultant to map out how to incrementally improve the house. Because heating and cooling system performance is so dependent on how the house behaves, it needs to be recommissioned every time significant changes are made. Don’t neglect it. There is no reason why the you can’t make the best with what you have as improvements are made. Diagnosing and correction issues related to heating and cooling systems can be found on my home performance website. An excellent discussion of equipment sizing is Home Energy Magazine’s May/Jun 1995 article, Bigger is not Better: Sizing Air Conditioners Properly. Next time, we’ll explore vapor management! The installation of the heating and cooling equipment is critical; so please heed our warning . . .